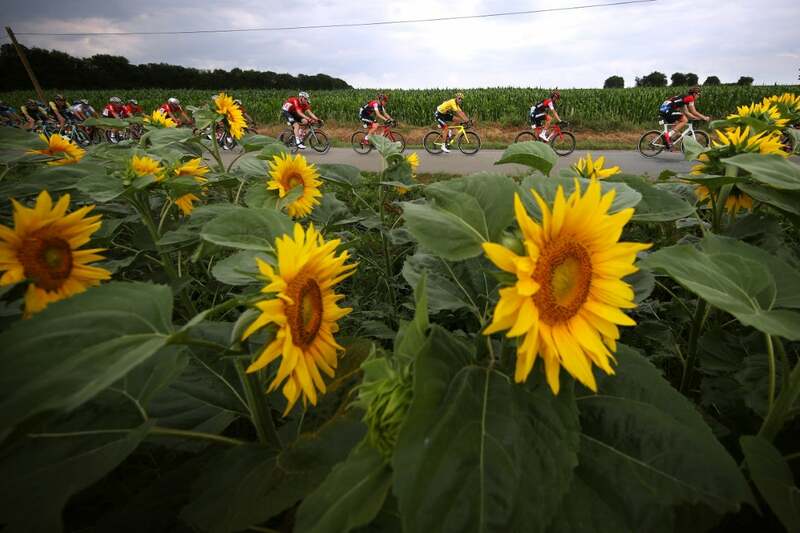 The Tour leaves Western France in stage 7, the longest of the 105th edition at 231 kilometers. 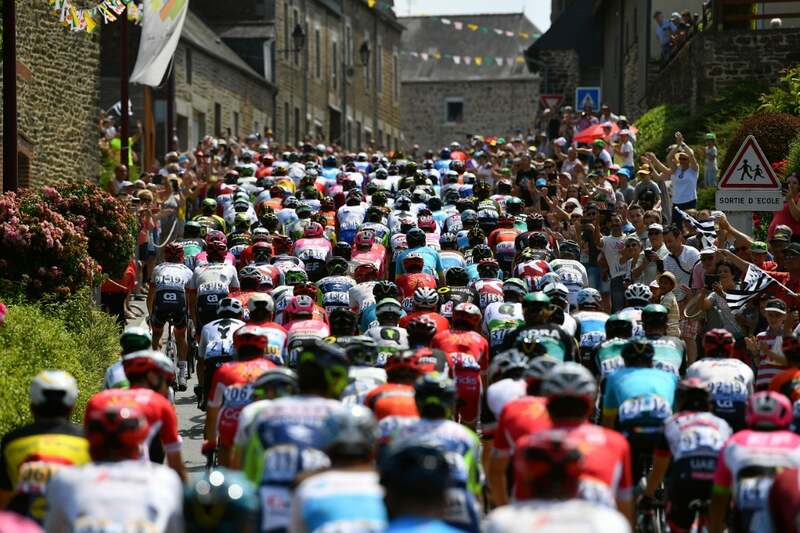 With only eight riders per team in 2018, this stage could be one in which the breakaway is given the freedom to roam. In other words, there’s no guarantee this flat stage will end with a bunch sprint. 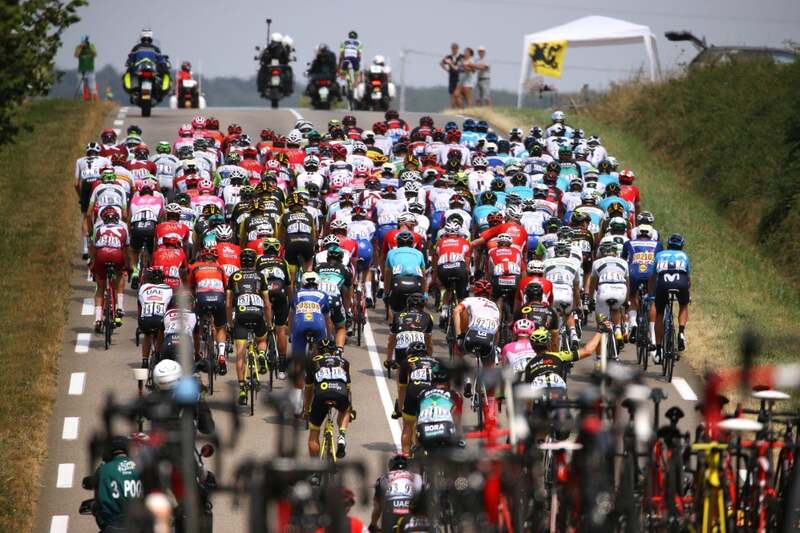 If it’s windy on the Beauce plains, the peloton could even explode into several pieces. We’ve seen the Tour lost in less tricky terrain. 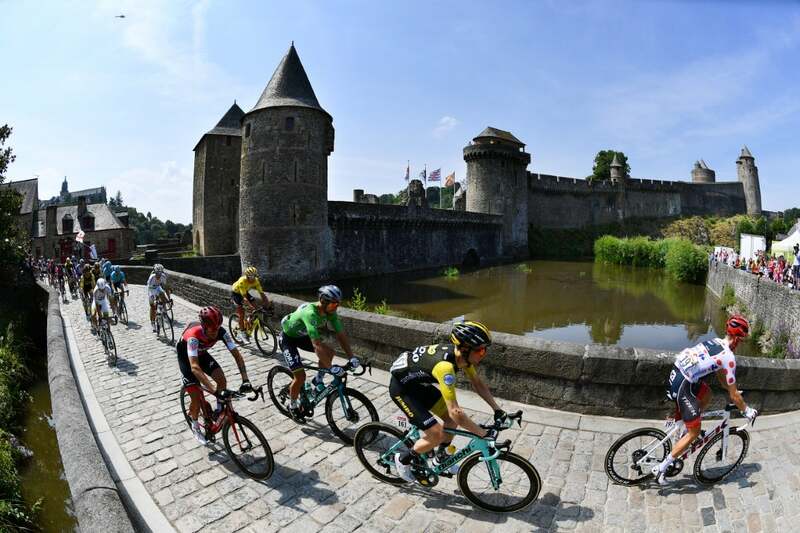 After being a non-factor in the first week of the Tour de France, Dylan Groenewegen (LottoNL-Jumbo) delivered his first win of the race Friday in Chartres on stage 7. 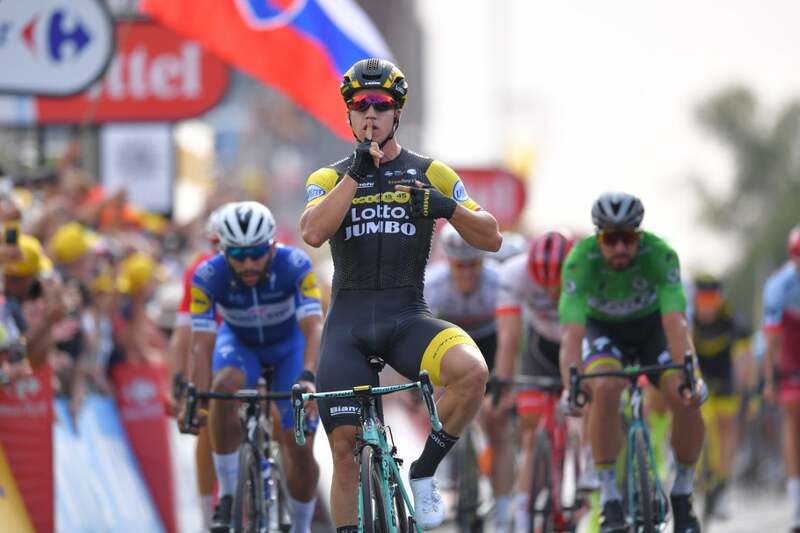 At the end of the Tour’s longest stage, 231 kilometers, the Dutchman blasted past Fernando Gaviria (Quick-Step Floors), who has so far been the darling of the Tour’s sprint finishes. Peter Sagan (Bora-Hansgrohe) was third behind the Colombian. 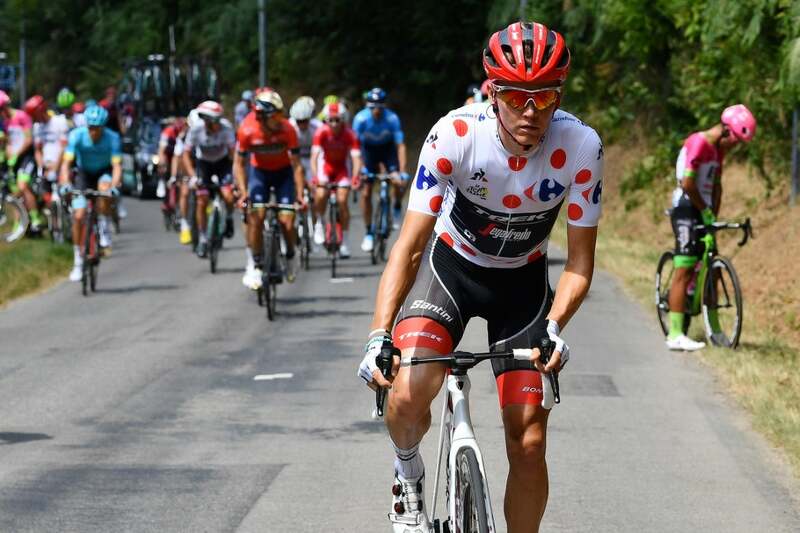 BMC’s Greg Van Avermaet kept his overall lead on an uneventful day at the Tour de France. 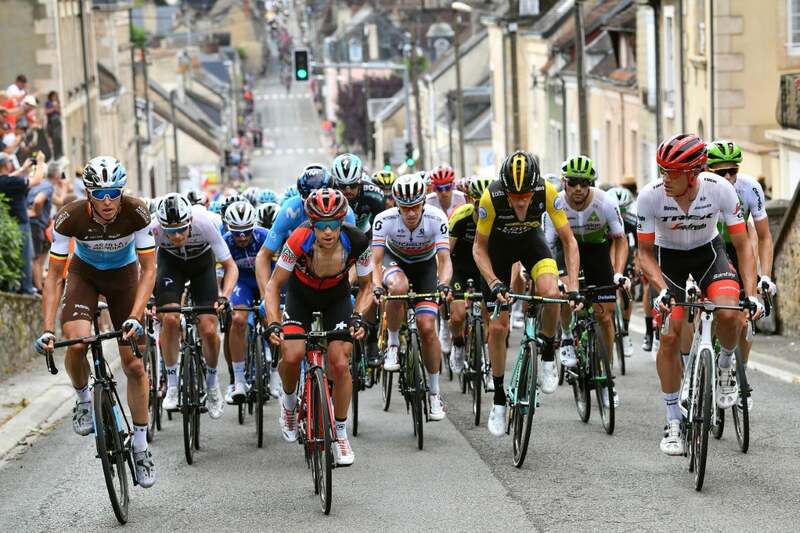 Laurent Pichon (Fortuneo-Samsic) was off the front alone for most of the stage, but the attack never stood a chance of making it to the finish. 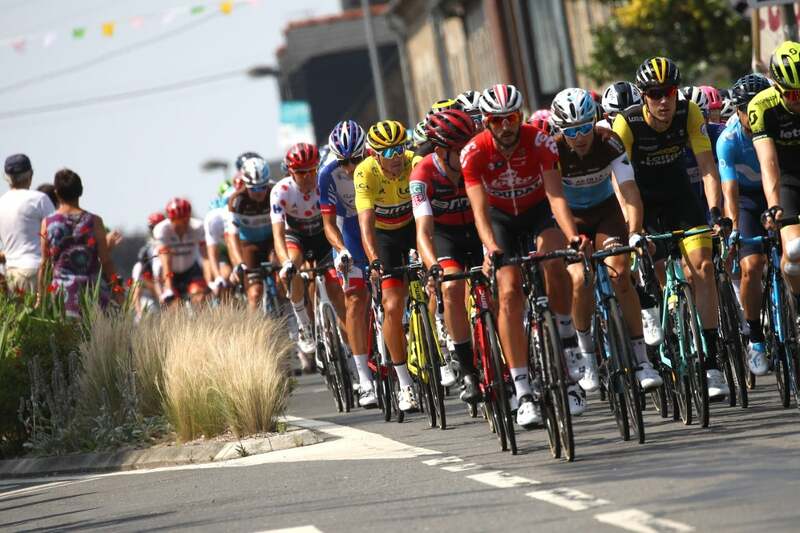 Dimension Data and FDJ showed initiative, leading the peloton into the final kilometer of racing for sprinters Mark Cavendish and Arnaud Démare, respectively. However, neither of those two would contest the win. 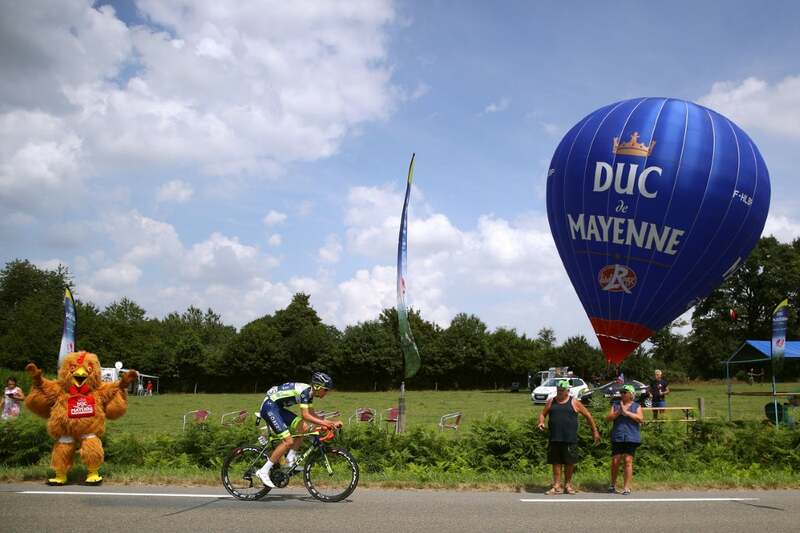 Instead, it was again the blue jerseys of Quick-Step taking over in the final 500 meters. 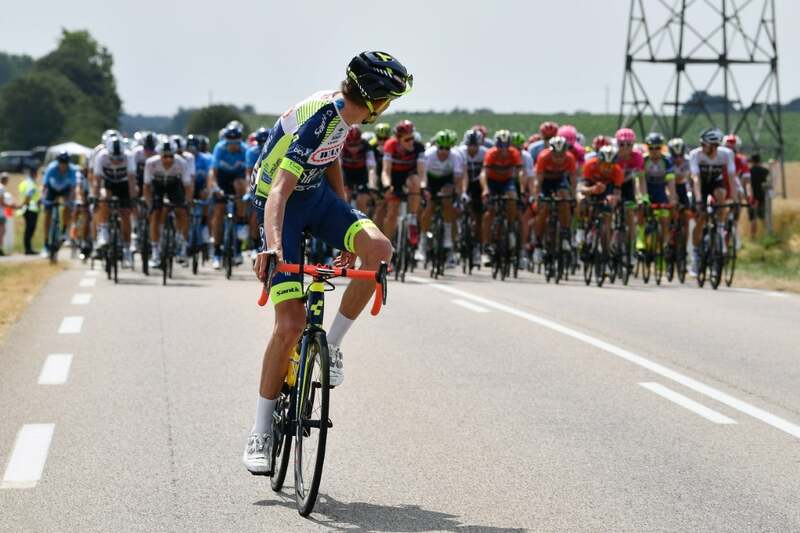 As usual, lead-out man Max Richeze brought Gaviria up the left barriers then swung to the right to hug the gradual right-hand bend to the line. Gaviria went long with Sagan right on his wheel. 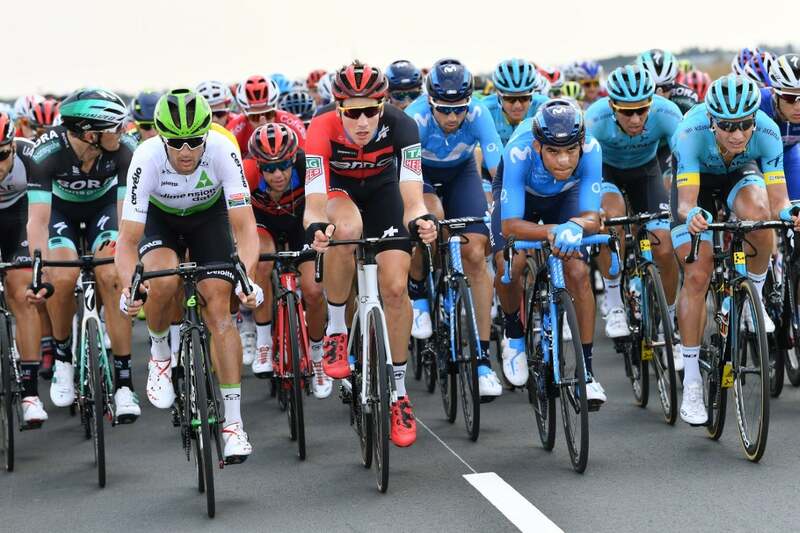 However, as Alexander Kristoff (UAE Team Emirates) began to accelerate, the world champion was boxed-in, forced to go right around Richeze after his lead-out was finished. Kristoff went left, and Groenewegen was perfectly positioned on the Norwegian’s wheel. 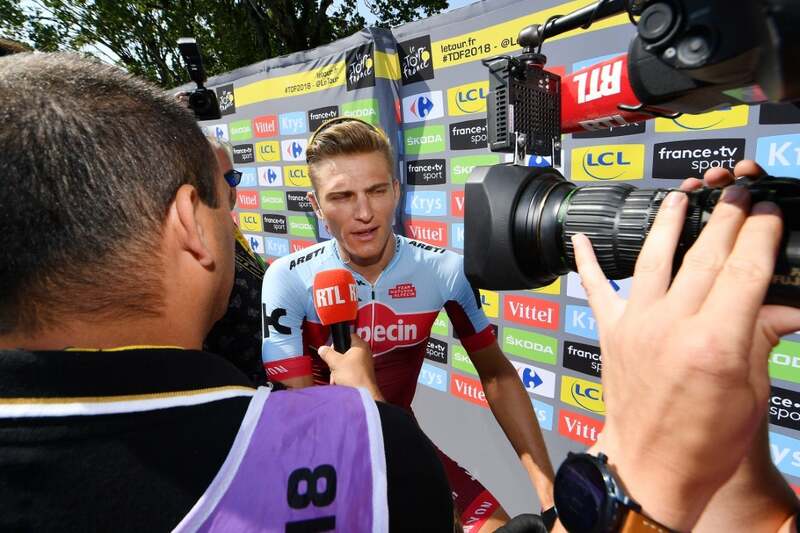 “I was with Kristoff, and he was going, and I stayed on his wheel, and I thought, ‘Now is the moment,’ and it was good enough,” Groenewegen added. Groenewegen sprinted clear with about 200 meters left and won the stage handily ahead of Gaviria. The sprinters will have another chance in stage 8. The 181km race from Dreux to Amiens Métropole has only two early categorized climbs, and they are quite minor. “I was pretty disappointed in the first few stages but now I’ve got the power back in my legs,” Groenewegen added. “This win was fantastic for my self-confidence, I feel under less pressure now; a sprinter needs confidence.